Is it timber? Is it aluminium? No, it’s PVCu! Do you want to offer your customers quality PVCu windows and doors? Do you want these windows and doors to match aluminium and timber for their endurance and aesthetic qualities? Do your customers want competitive prices for durable, low maintenance products? If you’ve answered yes to any of these questions, Warwick North West have the product list to fulfil all your customer’s requirements. At Warwick North West, we manufacture and supply quality PVCu windows and doors for trade customers in the North West of England and North Wales. Using quality Eurocell systems, we manufacture a wide range of PVCu windows and doors. With Warwick North West as your supplier, you can offer your customers an extensive choice for their home improvement project. We also manufacture and supply the Xtreme door from Vista. The Xtreme Door is the most secure composite door on the market. It is available in a range of colours and can feature a number of different hardware options. By using respected suppliers, we can guarantee excellent craftsmanship on all our product range. Our Innolux range of windows and doors was created to meet the customer demand for specialist PVCu products. Using modern architectural style frames, our Innolux range can match aluminium products for their slim sight lines. They are perfect for contemporary homes and can also be manufactured in a flush sash style for a more traditional look. With a range of colour choices and different finishes, they can provide an excellent alternative to traditional timber windows. 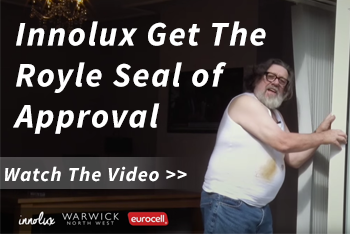 Our Innolux range are easy to install with fast lead times on all our orders. Our windows and doors have excellent energy efficiency levels and provide a high standard of home security. If you’d like help to grow your business in 2017, Warwick North West are the supplier to choose. Call us on 0151 933 3030 or send us a message online for more information on any of our PVCu products. This entry was posted in Blog by Warwick North West. Bookmark the permalink. 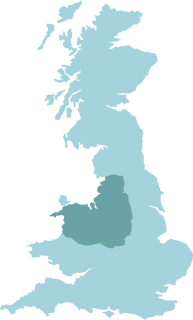 Based in Liverpool, Warwick North West supplies PVCu products for trade customers across the Wirral, Merseyside, Cheshire and North Wales.